Unless you have been living under a rock for the last few days, you should know that everyone has Saturday off, and anyone working in the Government will have Sunday off too. Bars will be closed from 6pm on Saturday and will not be opening again until midnight on Sunday. 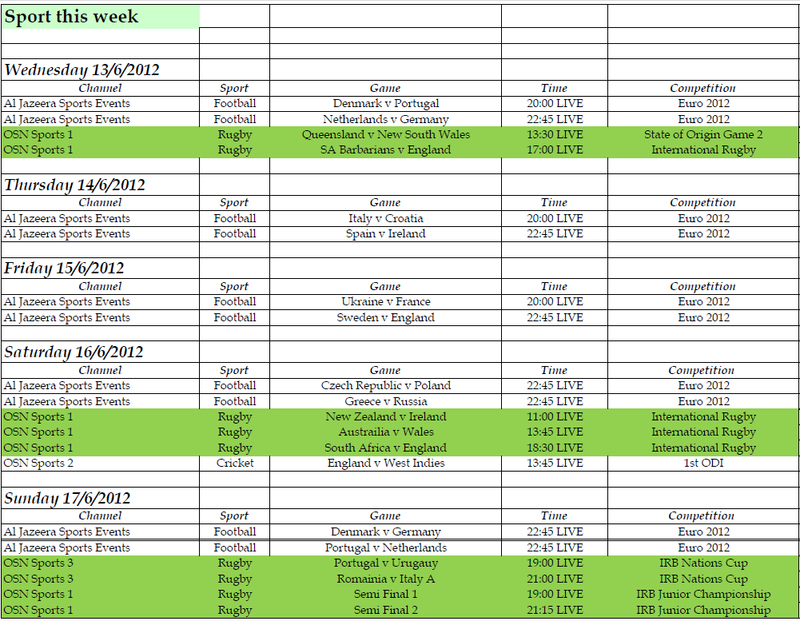 Someone very kindly made a sports schedule for the weekend should you be interested in watching either the many football or rugby games this weekend, see below, and as always, click to make it bigger! Oman managed to draw 1-1 with Iraq yesterday in their latest World Cup 2014 qualifier game and are now tied 2nd with Australia and Iraq behind the run-away winners of the group, Japan. 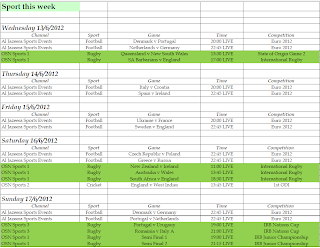 However, if the standings don't change, Iraq will be 2nd because they have scored more goals.